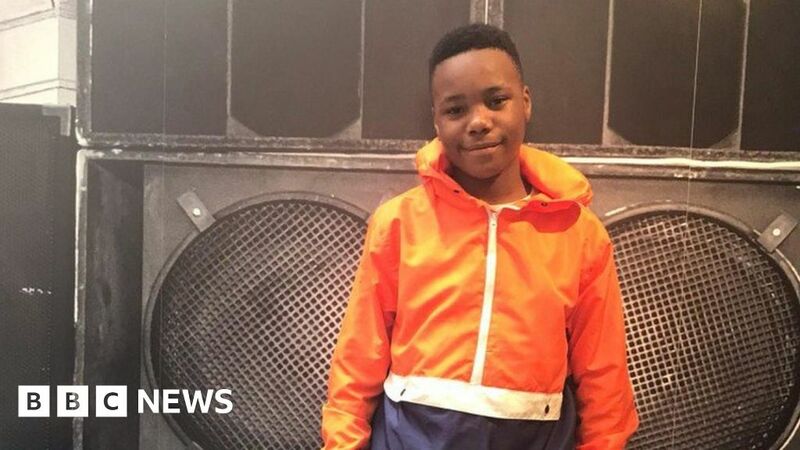 A man has been arrested on suspicion of murder by police investigating the death of 14-year-old Jaden Moodie. The Metropolitan Police said it arrested the 18-year-old suspect at an address in Wembley, north-west London. Jaden was found with fatal stab wounds after he was knocked off a moped in Bickley Road, Leyton, at 18:30 GMT on 8 January. Murder detectives said they were continuing to look for others involved in the attack. Det Ch Insp Chris Soole said: “Although one man has been arrested in connection with this murder, we remain fully focused on locating and arresting others connected to this deadly attack. The Met believe five men in a black B Class Mercedes smashed into Jaden’s moped before three of them got out and stabbed him more than seven times. They then got back in the car and drove off. Jaden was declared dead by paramedics about 40 minutes later. Police said they were treating the killing as a targeted attack. The teenager had moved from Nottingham to London with his mum six months ago for a “new start”. His family described him as a “loving, caring, bright young lad who had so many hopes and dreams”. In the days after his death, pictures emerged on social media showing Jaden posing with money and claims were made that he was involved in drug dealing. However, his family strongly denied he had any affiliation to gangs.